Flowers as pretty as party dresses, with a gently sweet fragrance reminiscent of Grandma’s dressing table, make lilacs sentimental favorites. 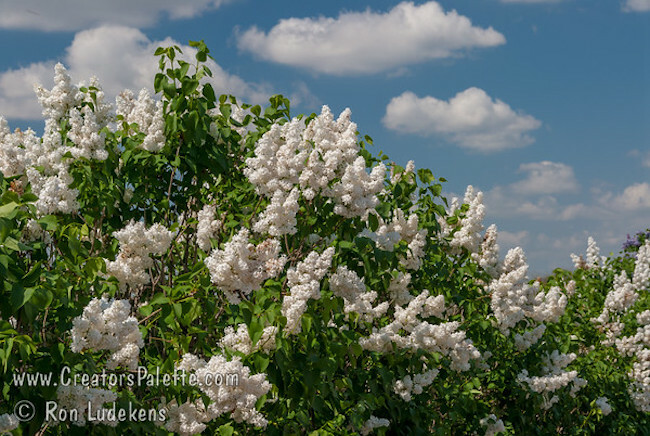 In a world that swirls around us too fast, lilacs spark nostalgia ― possibly for a place where they once flourished, or perhaps for another era. But this nostalgia isn’t easy to create everywhere. 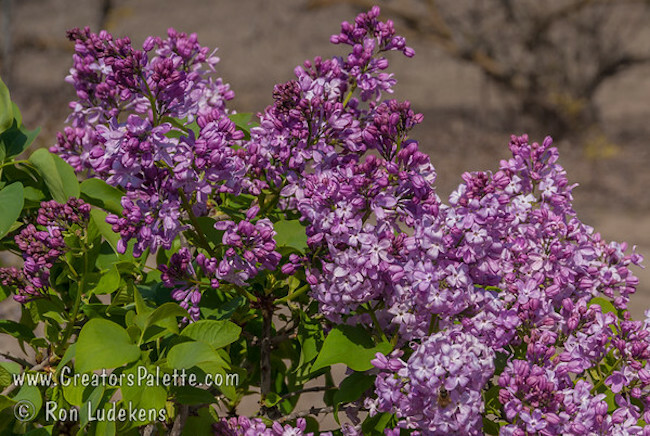 In mild-winter climates, you can’t pop just any lilac (Syringa vulgaris) into the ground and expect an exuberant show of blooms come midspring. You’ll need to buy low-chill varieties. Why? Because most lilacs prefer the kind of winter chill that sends us scrambling for heavy wool coats. Not so the low-chill varieties. were his only direct creations. But other descendants from the original plantings have been introduced through the years by Descanso’s staff. The lilacs ― often referred to as Descanso Hybrids ― now number a dozen or so, and many of them can still be seen growing at the gardens (1418 Descanso Dr., La Cañada Flintridge). Lavender Lady. I was much taken with the alliterative, poetic name Lavender Lady. 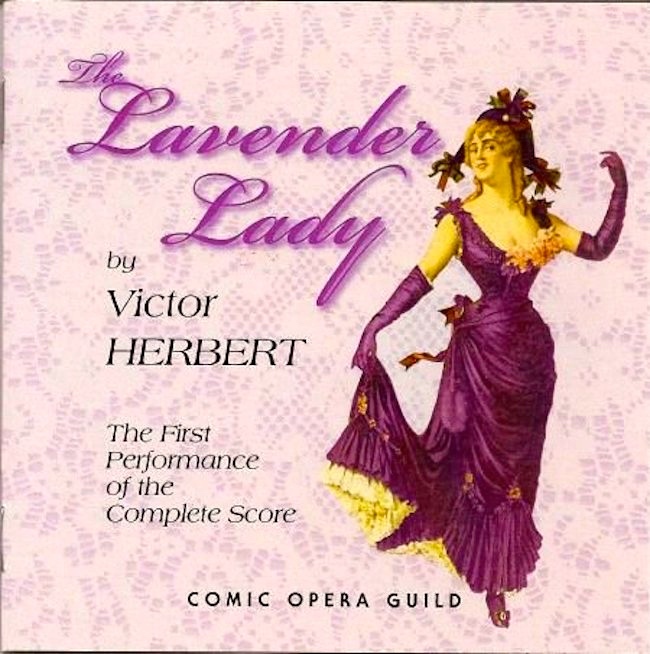 And that led me to an assortment of spas for women named Lavender Lady and a number of songs entitled “Lavender Lady” and: the Lavender Lady revolver, the Lavender Lady cocktail, a long-neglected comic opera Lavender Lady by Victor Herbert, and Agnes Moorehead — yes, Endora in Bewitched — performing as “The Lavender Lady”. 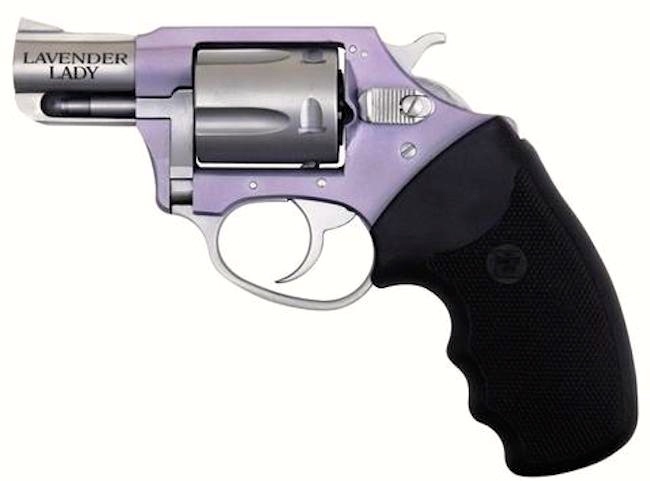 The Lavender Lady is another model in Charter’s exciting line of duotone revolvers. Like our other duotone offerings, the heart of the Lavender Lady is our popular Undercover Lite, but with an attractive lavender anodized finish. That’s lavender the color. 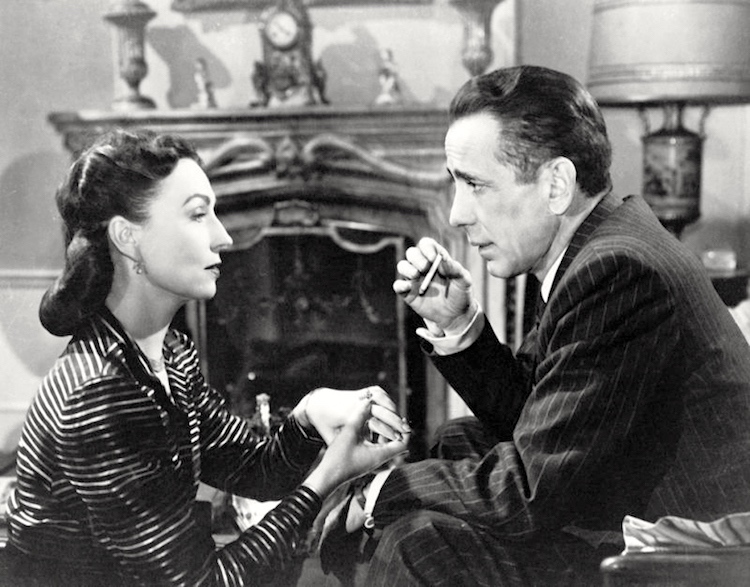 Understood as conveying femininity, so marketed to women, complete with a lady-like name. But the color could make it attractive to a flamboyant gay man in search of protection. The egg white creates a silky mixture, which perfectly accompanies the honey and Cointreau [and lemon juice, gin, and orange bitters]. 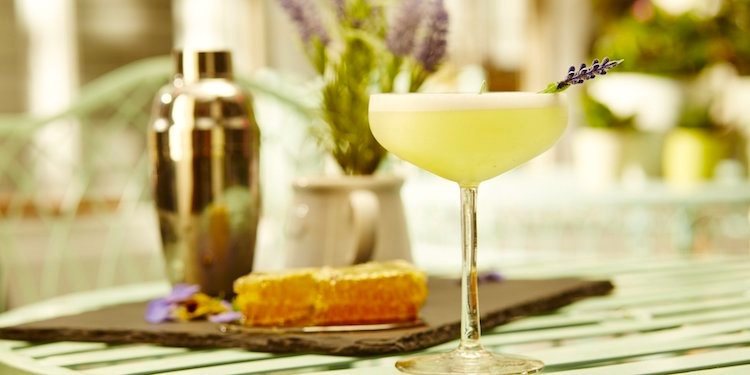 Top the cocktail with a sprig of lavender, and sit back in the garden and relax. That’s lavender the herb (genus Lavandula). Brought to the attention of the public in 1935 [Herbert died in 1924], this watershed collaboration between two musical theatre giants is barely mentioned in any publication about its authors or about musical theatre. For decades, its scores sat quietly in Washington, DC and its libretto in New York — unnoticed, unperformed, and unrecorded. This recording was made from the show’s only performance. 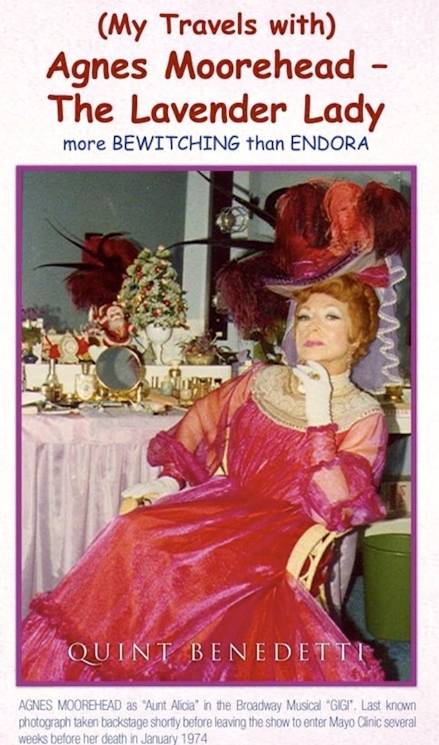 Agnes Robertson Moorehead (December 6, 1900 – April 30, 1974) was an American actress whose 41-year career included work in radio, stage, film, and television. 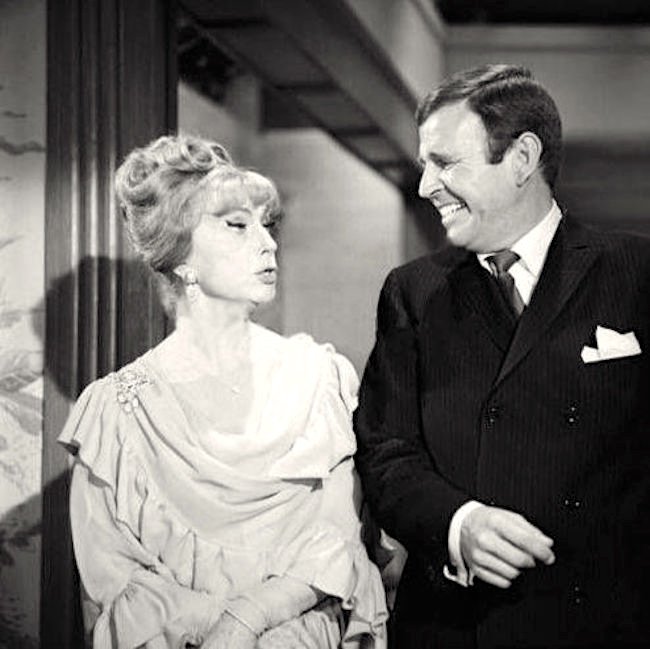 She is best known for her role as Endora on the television series Bewitched, but she also has notable roles in films, including Citizen Kane, The Magnificent Ambersons, Dark Passage, All That Heaven Allows, Show Boat, and Hush…Hush, Sweet Charlotte. Possibly relevant here: her sexuality was a matter of dispute. 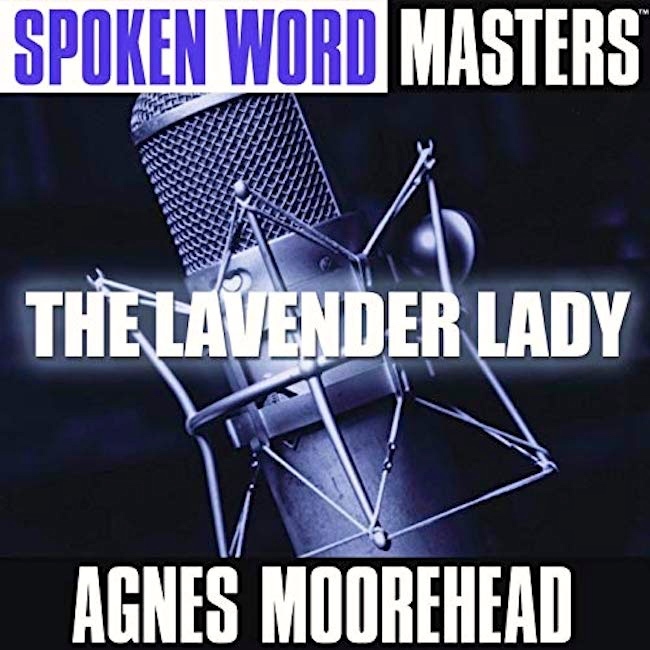 “Lavender is just pink trying to be purple” she paraphrased Proust… by Quint Benedetti from his book … Agnes Moorehead — The Lavender Lady … Benedetti knew Agnes Moorehead for ten years and was her personal assistant for five of those years. Quint Benedetti was born on April 21, 1926 in Ohio, as Quentin Joseph Benedetti. He was an actor, known for Doomsday Voyage (1972). He died on January 1, 2014 in Oceanside, California. Benedetti was the keeper of Moorehead’s identity as “The Lavender Lady”; presumably the origins of the epithet are uncovered in his book. This entry was posted on March 29, 2019 at 1:12 pm and is filed under Books, Gender and sexuality, Names, Subsectivity. You can follow any responses to this entry through the RSS 2.0 feed. You can leave a response, or trackback from your own site.